Boston NAPS offers professional advice to parents on adopting the right sleep techniques for their unique situation. Get the sleep you need and deserve after a one-on-one session with a pediatric nurse practitioner who specializes in newborn sleep behaviors. Are you suffering from sleep deprivation because your baby or toddler is not sleeping through the night? Have you been co-sleeping, or has your baby been sleeping in something other than her crib and you need assistance transitioning your baby back to the crib? Our Pediatric Nurse Practitioner will work to understand your family's unique situation and will recommend a custom-tailored plan including one or more sleep techniques. All of our consults are done by phone and start with an initial consultation where a history is taken and a plan is created. A follow-up phone call is then scheduled to answer any questions you may have or to troubleshoot any issues you may have encountered. One full day of text support is also included as part of your consultation. If in-home support is recommended or desired after this phone consult, we can also arrange for an in-home visit and consultation. 1. How do your sleep consults work? If you’re having a really hard time getting your baby to sleep (or if you’re not getting any sleep yourself), you’re in good company! We have a pediatric nurse practitioner on our team who is an expert in pediatric sleep patterns who helps parents across the country whose babies are struggling to nap during the day, get to sleep at night, or sleep for longer stretches at night. All of our sleep consultations are conducted via phone during evenings and weekends. After scheduling an appointment, we will send you an intake form with specific questions from our pediatric nurse practitioner about what issues you’re currently experiencing. Our NP will review your intake forms and call you for your first 60 minute appointment. She will then ask you additional questions to find out what exactly is going on regarding your routines and the baby’s behaviors, as well as if there are any medical problems with the baby. She will also address your comfort level is with letting the baby cry, or not cry. At Boston NAPS we are not “married” to one direction for sleep advice and our NP will create a customized sleep plan for your unique situation, factoring in your level of comfort with the plan. We appreciate that every baby and their family’s needs are different. 2. What factors come into play in the sleep plan? Our NP assesses your situation and customizes the plan for you. She uses various sleep techniques and truly makes suggestions based on what’s most appropriate for you. For example, our NP knows that you can’t tell a parent to let a baby cry if they’re not comfortable with it; there isn’t one method that works for everyone. Our NP will create a plan that you’ll feel comfortable carrying out and she will walk you through the steps over the phone. Within seven days of that first phone call, you will have a 30 minute follow-up phone call to discuss what has worked and whether any tweaks need to be made. Additionally, within seven days of your first call, you can choose one day to have text messaging support with our pediatric NP between 8am and 8pm. 3. When can I start sleep training? When it comes to sleep training, that means we are going to train a baby to sleep through the night. That is only appropriate when a baby is eating three square meals a day which means solid foods, plus breastfeeding and/ or bottle feeding. Around 6 months, as long as your pediatrician is agreeable, our NP can help you create a sleep training plan. 4. Can you help me if my baby is less than 6 months old? Yes. At less than six months old, this would be considered a sleep consultation (not sleep training). 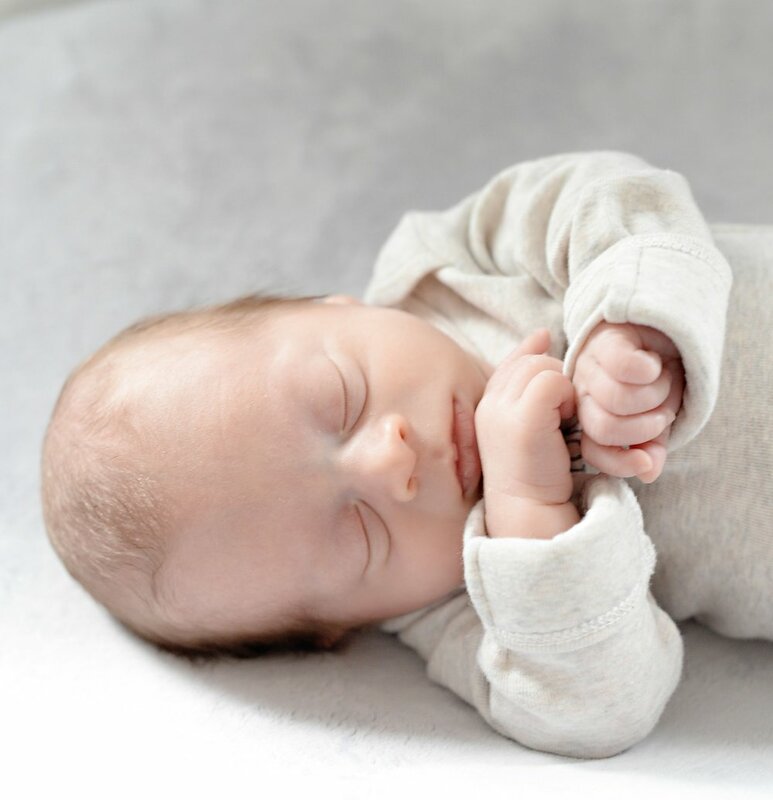 Our nurse practitioner will work with you to develop positive sleep habits and routines for your baby that will help your baby to naturally drop feeds and eventually sleep through the night. 5. Can you help me if my baby is less than 4 months old? Yes. Our nurse practitioner is a calming, extremely knowledgeable resource who can help you through the issues you’re experiencing getting your infant to sleep. Working with you and your baby who is less than 4 months old means we will focus more on healthy eating and sleeping habits, establishment of a good bedtime routine, and when and how to progressively introduce age appropriate techniques that will result in longer stretches of sleep. 6. Do you come to my home for the training? We have found that over the years, parents have the most success working with our pediatric nurse practitioner via phone. However, after having completed your phone consultation, if you still find that you may need an in-home consultation, with overnight training or nursing support, we are happy to accommodate you. 7. What’s your success rate?